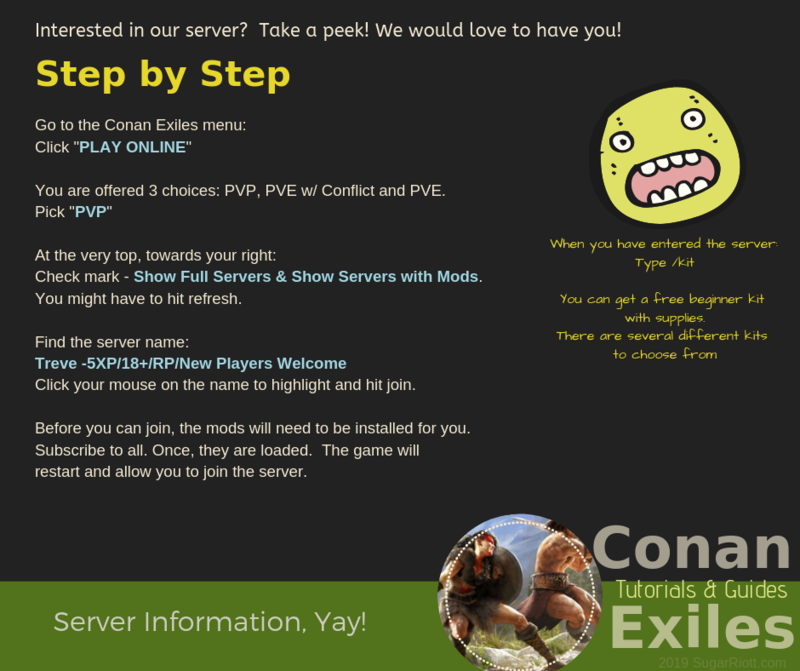 Posted on March 26, 2019, in Conan Exiles and tagged beginners, Conan Exiles, guides, help, hint, mods, new players, roleplay, Rp, server, tips, tutorials, welcomed. Bookmark the permalink. Leave a comment.